Go for the Sportage EX and its Technology Package if you want all the best active-safety gear, yet still a very affordable price. The 2017 Kia Sportage beefs up its sport-shoe styling—and its hardware—as it tackles the crossover-SUV niche head-on. Design-wise, we’d call the Sportage flamboyant, but not so much as to ever impress as garish or over-the-top. There’s maybe a little too much of an overt, kitchy sci-fi look to the front lamps, though we’ll give credit where credit’s due for being truly bold. Overall, the stance is sportier—the result of pushing the wheels farther out to the corners—while the sides are more deeply sculpted than before, and the upright rear pillar's been re-proportioned for a squatter, more substantial look, more like the one on the current Kia Soul. This generation keeps the flattened upkick to the rear door cuts—a design choice that’s also functional in yielding easier ingress and egress. And inside, it’s all about bringing in more soft-touch surfaces, better trims, and a layout that’s somewhat sporty and cockpit-oriented (canted toward the driver, slightly) yet pushed out at the corners for more passenger space. Kia offers a choice between two 4-cylinder powertrains on the 2017 Sportage; so far we’ve only driven the sporty, upmarket SX, with a 2.0-liter turbocharged 4-cylinder making 240 horsepower and 260 pound-feet of torque. 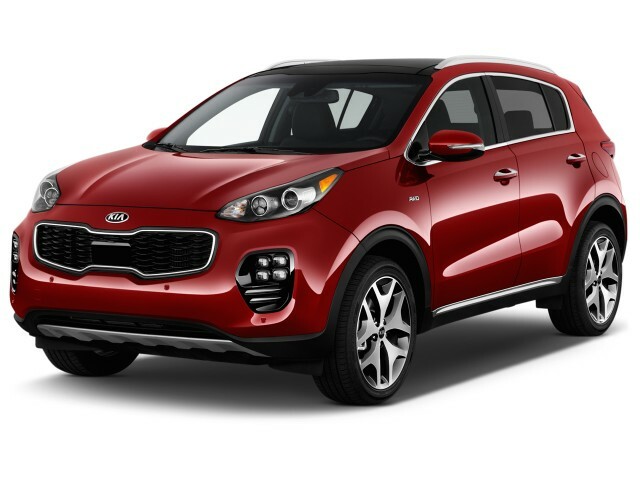 Base Sportage LX models and the mid-range EX have a 2.4-liter 4-cylinder with 181 hp and 175 lb-ft of torque. We’ve found the turbo version to be strong and smooth, although with some transmission “hunting” up longer grades. All-wheel drive with a locking center differential is an option on every Sportage trim level; it's packaged with a distinct front bumper for better ground clearance. The Sportage promises better steering and a more refined ride, and it mostly delivers that. It has a revised steering rack and suspension, with more front-suspension bushings and stiffer mounts, and the multi-link rear suspension now has dual lower arms. Turbocharged SX models get their own, firmer rear damper settings. The SX models we’ve driven so far handle responsively, with good body control, and they ride surprisingly quietly. One not-so-pleasant surprise is fuel economy; numbers for the Sportage SX especially are very low for the class—just 20 mpg city, 23 highway with AWD. The best it gets is 23 mpg city, 30 highway, for base LX models with front-wheel drive. In physical size, the Sportage has grown slightly bigger. It's 1.6 inches longer than before, with a wheelbase that's gained 1.2 inches (to 105.1 inches). Width remains the same, but the added room has been doled out to the cabin in the form of slightly more headroom and knee room, especially for the back seat. Power controls and seat heaters are quite easy to come by in this model lineup and aren’t just reserved for top-trim models. Seats are nicely bolstered, too, with decent back support as well as the thigh support for long-legged drivers. The second row is 60/40 split, with sections that can flip forward independently or together to expand cargo space; and the rear seatback is adjustable for recline in 17 different steps. Cargo space is up to 30.7 cubic feet behind the second row, and liftover height to access the cargo area is easier, too. An available power tailgate is opened when the key fob is placed within three feet of it. Kia also says the suspension refinements and thicker soundproofing has made the cabin a quieter place. The 2017 Sportage is a completely redesigned model, and crash tests have proven it a good protector. It offers the latest collision-prevention technologies—either standard on the SX, or on the EX as part of the $2,700 Technology Package. That includes forward-collision warnings with automatic emergency braking and pedestrian detection, high beam assist, lane departure warning, and front and rear parking assist (plus some other audio and comfort features that are wrapped in with it). The Sportage remains just as thrifty and value-oriented as the previous-generation model—although your passengers will be likely even more oblivious to that fact. Standard equipment is impressive in itself, while with a few simple option packages you can step up to a feature set that closely rivals some models with a luxury badge. 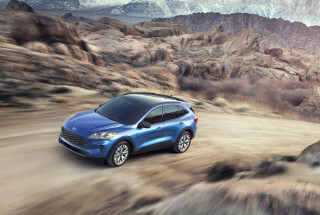 All models offer a choice between front-wheel drive and all-wheel drive, and all include power windows and mirrors, a rear wiper and defroster, air conditioning with rear vents, remote keyless entry, a rearview camera, and Bluetooth hands-free calling. Top SX models include an upgraded 8.0-inch touchscreen with navigation, 320-watt Harmon Kardon audio, larger 19-inch wheels, a sport suspension, LED fog lamps and taillamps, bi-xenon headlamps with Dynamic Bending Light, a power tailgate, a flat-bottom steering wheel, an auto-dimming rearview mirror, and a so-called Supervision gauge cluster with a separate 4.2-inch TFT LCD display. Kia’s 7.0- and 8.0-inch infotainment systems include Apple CarPlay, Android Auto, and UVO eServices telematics services. Kia claims that it has an edge for frugal types, as the brand’s EVO eServices telematics systems (emergency assistance, vehicle diagnostics, and such) are app-based and rely on your smartphone’s data connection—rather than on a separate subscription. The 2017 Kia Sportage has a sporty stance and a lot of style—though some of its details are a little far-out. 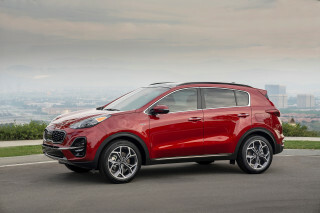 The outgoing Sportage was styled like a sleek sports shoe, with more of an economy-car look in front. The 2017 Sportage, on the other hand, has grown some curves that altogether make this model look more athletic in and of itself. The front end is taller, with a larger grille that mimics the one on the larger Kia Sorento SUV—although we wouldn’t completely rule out some passing influence from the Porsche Cayenne and Subaru Tribeca. Lower air intakes are flanked by bigger, rounder openings for fog lamps. There’s maybe a little too much of an overt, kitchy sci-fi look to the front lamps, though we’ll give credit where credit’s due for being truly bold. The sides are more deeply sculpted than before, and the upright rear pillar's been re-proportioned for a squatter, more substantial look, more like the one on the current Kia Soul. This generation keeps the flattened upkick to the rear door cuts—a design choice that’s also functional in yielding easier ingress and egress. The Sportage has a stance that feels sportier, if not lower and wider than some of its rivals; and while it’s neither of those (significantly), it’s the eye-tricking result of pushing the wheels out farther to the corners. 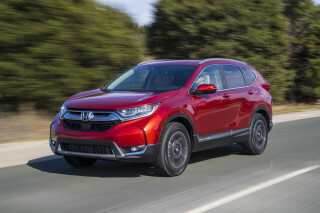 The Honda CR-V is about 3 inches longer overall, yet the Sportage has a wheelbase that’s 2 inches longer than that of the Honda. On the Sportage SX, the fog lamps and taillights are lit by LEDs, and there's more metallic trim and bigger 19-inch wheels. Across the model line, Sportage models with all-wheel drive get a different front fascia that helps the Sportage look a little stockier from the front and improves the approach angle slightly; AWD models also get an additional 0.4 inches of ground clearance. The Sportage's cabin has been refashioned in less dramatic ways, although it inherits some of the more horizontal themes recently given to the Optima sedan and Sorento crossover in redesigned—with more continuity across the dash, pushing the corners outward (functionally, also for more space). Instead, Kia’s split the dash into an upper area that focuses attention on the gauges and on the color touchscreen, while the lower half houses the controls and switches for audio, climate, and ancillary controls. 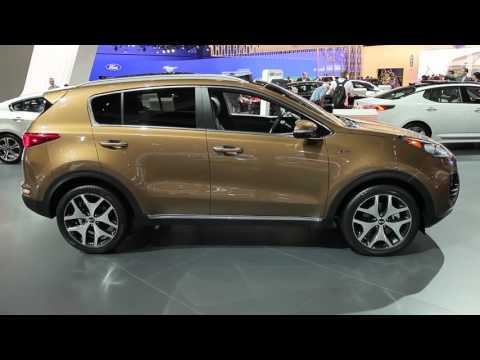 There's more soft-touch trim in this latest Sportage, and EX and SX models get leather trim, while SX Sportages also get paddle shifters, touches of glossy black trim, and stitched dash trim. The 2017 Kia Sportage is one of the sportier affordable compact crossovers—and it doesn’t sacrifice ride comfort to get there. Kia offers a choice between two four-cylinder powertrains on the 2017 Sportage. The Sportage LX and EX have a 2.4-liter 4-cylinder with 181 horsepower and 175 pound-feet of torque, coupled to a 6-speed automatic. The Sportage SX has a 2.0-liter turbo-4 with 240 hp (237 hp in AWD versions) and 260 lb-ft, also teamed with a 6-speed automatic. Both of these engines have been better tuned for fuel economy and mid-range performance, Kia says; and while we haven’t yet driven any of the versions with the 2.4-liter engine we can certainly vouch for that in SX models, where its turbocharged engine has less turbo lag than before and feels more strong, civil, and refined overall. 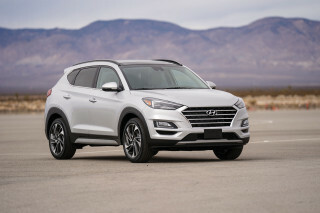 That engine, actually makes the Sportage one of the quickest in its class, in terms of power to weight—with its closest rivals being the Ford Escape and Subaru Forester and their respective turbocharged 2.0-liter versions. In all models, the Sportage has a 6-speed automatic transmission, which Kia says has been retuned for smoother shifts and an expanded torque-converter lockup range. In the SX Turbo, the six-speed automatic definitely shifts unobtrusively, although in a preliminary drive it didn’t always behave the way we’d have expected—on hilly two-lane roads, hunting more between gears with only subtle accelerator inputs, while demands for quick passing maneuvers were instead met with more of a delay before a full-fledged downshift and the corresponding burst of power. The Sportage offers a Sport mode, and although that mode sharpens throttle response (changing shift points as a result), it doesn’t reduce the amount of back-and-forth for the transmission. 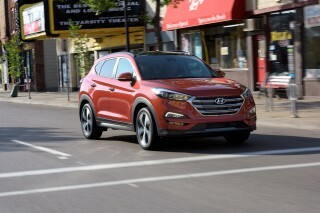 All-wheel drive with a locking center differential is an option on every Sportage trim level. Here, the system uses the whole suite of vehicle sensors and a processing unit to smartly control the front-to-rear torque split, with a viscous multi-plate clutch system. Kia (with its supplier, Magna), notes that this system is predictive and doesn’t need to spin the front wheels before sending more torque to the rear wheels. AWD models are never completely front-wheel drive; the system automatically sends a slight bit of power to the rear wheels, or up to 50 percent when needed. Meanwhile the anti-lock braking and stability system controls traction side-to-side. In a vast class of crossover models, the Sportage takes a path that is far sportier than models like the Honda CR-V or Toyota RAV4 but doesn’t handle quite as crisply as the Ford Escape, or quite as nimbly as the Mazda CX-5. Kia aims to make the Sportage a little sportier yet better-riding, with a revised steering rack and new suspension geometry. A remounted steering rack with lower friction is said to smooth out the steering's inputs and reaction. The front suspension's also been damped with more bushings and stiffer mounts, while the multi-link rear suspension now has dual lower arms. The turbocharged SX model gets its own, firmer rear damper settings, as well as firmer springs and some other changes for its bigger 19-inch tires and wheels. It’s the only model we’ve driven at this point, and it strikes a great compromise between sharp handling, good body control, and a compliant ride. All-wheel-drive models of the Sportage weigh only about 100 pounds more than front-wheel drive versions, yet there’s a perceptible heft in the way that AWD versions go down a curvy choppy road. The Sportage is one of the smaller models in its class on the outside, but its quiet, well-apportioned interior, good seats, and pleasant surfaces make it more than worthy of the big leagues. The 2017 Sportage remains just 176 inches long—which makes it one of the smallest models in its class. In physical size, the Sportage has actually grown slightly bigger that its predecessor. It's 1.6 inches longer than before, with a wheelbase that's gained 1.2 inches (to 105.1 inches). Width remains the same, but the added room has been doled out to the cabin in the form of slightly more headroom and knee room, especially for the back seat. Power controls and seat heaters are quite easy to come by in this model lineup and aren’t just reserved for top-trim models. Seats are nicely bolstered, too, with decent back support as well as thigh support that felt supportive enough for this long-legged 6-foot-6 editor yet not too constricting for a 5-foot-2 co-driver. The second row is 60/40-split, with sections that can flip forward independently or together to expand cargo space; and the rear seatback is adjustable for recline in 17 different steps. The cabin feels narrow in back, yet there’s actually enough knee room and head room for taller adults—as well as a windowline that affords enough of a view out to keep claustrophobia and carsickness at bay. Cargo space is up to 30.7 cubic feet behind the second row, and liftover height to access the cargo area is easier, too. An available power tailgate is opened when the key fob is placed within three feet of it. Kia also says the suspension refinements and thicker soundproofing has made the cabin a quieter place. Throughout, Kia says that it has worked extensively on the feel of major “touch points” inside the Sportage—meaning that it’s brought more soft-touch surfaces to the areas directly in front of the driver and passenger, as well as the door panels. With a center stack and console design essentially carried over from the Optima—and a center-stack area that’s tilted 7.2 degrees toward the driver, for a more cockpit feel—the Sportage’s interior design helps it feel sportier than the previous generation. However flatter-folding rear seats, gains in passenger room and cargo space, a lower liftover height, and things like a new cargo screen and dual-level cargo floor altogether help this interior feel improved in practical ways as well. The most significant change, versus the previous Sportage, however? Cabin noise. Kia has made tremendous gains in noise insulation—engine noise, too—and through some carefully sealing it’s blanketed out most of those unwanted sounds in the cabin, essentially bringing a luxury-like ambience to the Sportage in many respects. The 2017 Kia Sportage earns very good crash-test scores and has the latest accident-prevention systems. Crash-test ratings for the 2017 Kia Sportage are very good, with a flaw or two. In testing, the independent IIHS has given the new Sportage top "Good" scores on all of its tests, including the small-overlap front crash. Those "Good" scores, plus a "Superior" rating for the SUV's optional front-crash avoidance systems earned the Sportage a coveted Top Safety Pick designation. The NHTSA gives it five stars overall, but in two tests the Sportage is rated at four stars. Kia makes available in the Sportage its latest safety-feature content, including forward-collision warnings with automatic braking. It's standard on the SX, available on the EX as part of the $2,700 Technology Package. The package also includes high beam assist, lane-departure warnings, and front and rear parking assist (plus some other audio and comfort features that are wrapped in with it). For $1,900, the EX Premium Package adds blind-spot detection, lane change assist, and rear cross traffic alert. That less expensive package does not include the emergency braking that safety agencies have recently focused in on as accident-avoiding and potentially life-saving. Kia says that the new body structure itself sheds 55 pounds versus the previous-generation body, thanks in part to a big boost in the amount of high-strength steel (now 51 percent versus 18 percent). And the automaker has created significant gains in torsional rigidity and body integrity with a move toward using structural adhesives (113 yards of it in the Sportage) instead of only pinch welds. The 2017 Kia Sportage remains very thrifty and value-oriented—though your passengers will probably never know it. There are three different trim levels in the 2017 Kia Sportage lineup: LX, EX, and SX. All three allow you a choice between front-wheel drive and all-wheel drive (AWD), although the SX model stands out as the only way you can get the stronger turbocharged engine—as well as various other performance and feature upgrades that come with it. Value, by sheer features for the money, is something that Kia has used as a key market advantage for all of its models. And relative to most of its rivals, the Sportage manages to pack in a few more features as well as a lower base price (just below $24,000 at launch). On the base LX, standard features include power windows, power side mirrors, a rear wiper and defroster, air conditioning with rear vents, remote keyless entry, a tilt/telescopic steering wheel, touchscreen audio with six speakers, satellite radio, a rearview camera, Bluetooth hands-free calling and streaming audio, and 60/40-split folding rear seats with adjustable recline. Mid-level EX models add keyless ignition, heated front seats, a power driver’s seat, a leather-wrapped steering wheel, and a larger 7.0-inch touchscreen infotainment system with Apple CarPlay, Android Auto, and UVO eServices telematics services. You can also opt for heated leather seats, a heated steering wheel, and a power passenger seat. as well as a 320-watt Harman Kardon sound system—all items that are standard on the top SX model. You can add some of the EX’s features to the LX with either a Cool & Connected Package (dual-zone climate control and upgraded infotainment) or a Popular Package, which allows heated seats and mirrors, even on the base model. 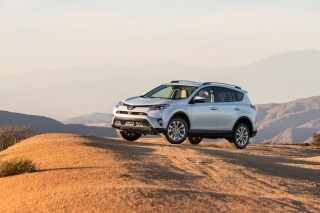 The SX adds those items, plus larger 19-inch wheels, a sport suspension, LED fog lamps and taillights, bi-xenon headlamps with Dynamic Bending Light, a power tailgate, a flat-bottom steering wheel, an auto-dimming rearview mirror, and a so-called Supervision gauge cluster with a separate 4.2-inch TFT LCD display. And visually it subs in satin exterior trim plus folding side mirrors with integral turn signals. Additionally, the SX gets an even larger 8.0-inch touchscreen with built-in navigation. All models come fitted with a touchscreen for audio and phone connectivity, plus Bluetooth with audio streaming, satellite radio, and 160 watts of sound through six speakers. A bigger 7.0-inch touchscreen comes to the EX model, along with a new UVO3 infotainment system that factors in Apple CarPlay, Android Auto, 8 GB of music storage, streaming audio apps, and other telematics services, all driven by smartphone—and free of charge. Sportage SX crossover SUVs get on-board navigation and an 8.0-inch touchscreen. Step by step, Kia’s infotainment systems are getting closer to those of its sibling brand, Hyundai; and while the hardware is essentially the same in the current generation of Hyundai Tucson and Kia Sportage, they have different firmware and software that, we think, keeps the interface clean and responsive. Kia claims that they have the edge for frugal types, as all of their EVO eServices telematics systems (emergency assistance, vehicle diagnostics, and such) are app-based and rely on your smartphone’s data connection—rather than on a separate subscription. The 2017 Sportage gets respectable fuel economy ratings; but if you shop with mpg in mind, you might be a little disappointed. The 2017 Kia Sportage gets a significant rethink under the hood this year, yet mileage gains aren’t part of the improvements. Compared to gasoline-only rival models, the Sportage ends up 1-3 mpg behind most models with comparable engine sizes and outputs. Still, no hybrid is offered in the range. 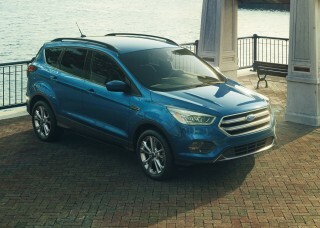 Base LX models earn 23 mpg city, 30 highway, 26 combined with front-wheel drive, or 21/25/22 mpg with all-wheel drive. 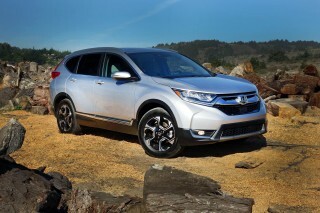 Mid-range EX models come with the same 2.4-liter engine and transmission, but they lose 1 mpg across the board. Moving to the 2.0-liter turbocharged engine in top-trim SX models drops the EPA ratings to 21/26/23 mpg with front-wheel drive, or just 20/23/21 mpg with all-wheel drive—actually considerably worse than last year’s model. Over about 175 miles of driving—split between FWD and AWD SX models—we barely managed 20 mpg according to the trip computer; although to be fair, that included some hilly two-lane roads and fast-moving freeway travel.